The State of South Dakota does not require or offer a license or certification to work in the HVAC industry. After learning your trade and beginning your career, you can make around $28,800 a year, going up to $45,000 with experience. 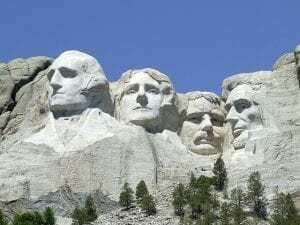 But what else should you know about HVAC work in the Mount Rushmore State? It’s always important to check with county and city offices to see if there are local license requirements, even when the state does not have its own requirements. Sioux Falls, for instance, requires a Master Mechanic license, which would cover all HVAC applications. Becoming a contractor requires at least four years experience as well as passing a professional exam. Rapid City also requires contractors to be licensed. You can find contact information for getting your license on the city’s website. The Plumbing, Heating and Cooling Contractors of South Dakota is a great association to make contact with. For over 90 years, tradespeople have made up this association which provides various useful resources, including apprenticeship programs and e-learning grants. Anyone working with refrigerants is also required by federal law to obtain certification from the Environment Protection Agency. The applicable law is Section 608 from the EPA. There are three levels, depending on the type of appliance you work with. There’s also a “universal certification,” which covers all three - that’s your best choice so you’re covered no matter what. South Dakota HVAC technicians don’t have to worry about state licensing, but the largest municipalities do have their own licensing requirements. Check with your local office that handles licenses and inspections, and get started on an exciting career in heating and cooling!